The Byron Nuclear Station Reactor 2 was still offline Tuesday morning as repairs begin on a switch that failed, an Exelon official said. Officials are investigating the events surrounding a power failure at a nuclear reactor in northern Illinois, where steam was vented to reduce pressure after it shut down. After the shut down Monday morning at Exelon Nuclear‘s Byron Generating Station, operators began releasing steam to cool the reactor from the part of the plant where turbines are producing electricity, not from within the nuclear reactor itself, officials said. 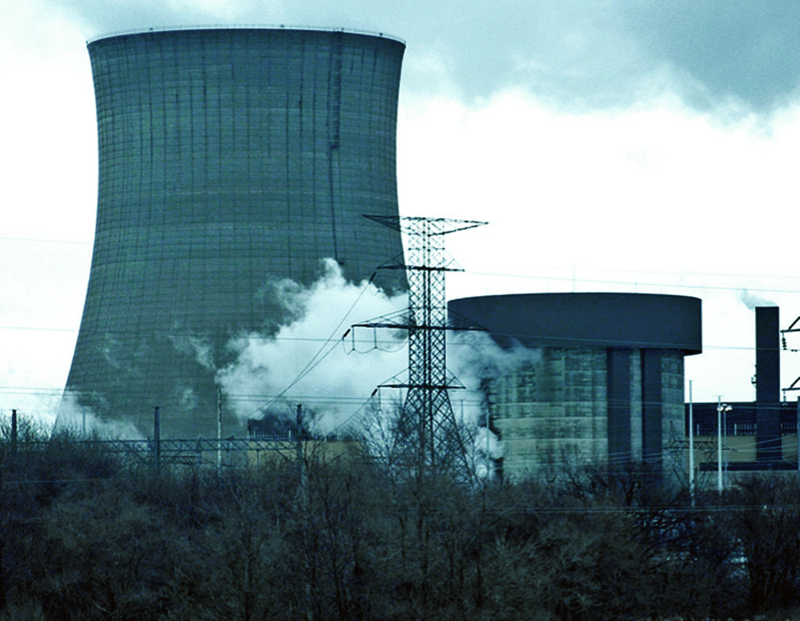 The Nuclear Regulatory Commission’s “incident response center” in Lisle was activated immediately after that agency learned the transformer in the electrical switching yard at Byron began smoking during the emergency shutdown of reactor two. The switchyard is similar to a large substation that delivers power to the plant from the electrical grid and from the plant to the electrical grid. Investigators found no fire. They believe the switchyard issue may have caused the power loss. Back-up generators came online to run the safety equipment. Diesel generators were supplying the reactor with electricity, though it hasn’t been generating power during the investigation into what happened. One question is why smoke was seen from an onsite station transformer, though no evidence of a fire was found when the plant’s fire brigade responded, U.S. Nuclear Regulatory Commission spokeswoman Viktoria Mitlyng said. At 1101 EST, Byron Unit-2 experienced a reactor trip due to RCP undervoltage. All rods fully inserted, MSIV’s were manually closed and decay heat is being removed by Auxiliary Feedwater pumps running and steam leaving via atmospheric relief valves. The unit is currently in a natural circulation cooldown with the diesels supplying station emergency loads. Licensee will be cooling the plant down to Mode 5. At 1118 EST, Byron declared an Unusual Event due to a loss of offsite power on Unit 2 from a faulted Station Auxiliary Transformer (SAT). The faulted SAT caused both 6.9 kV and 4.1 kV bus voltage to drop. Smoke was observed coming from the SAT with no visible flames being apparent. This caused bus loads to trip without a complete loss of ESF busses 241 and 242. These buses were manually disconnected from the SAT, which transferred the load to the emergency diesel generators 2A and 2B. Both diesel generators started and loaded without incident. Offsite assistance was requested from the local fire department as a precaution. The licensee is also declaring notification for 10 CFR 50.72(b)(3)(v)(D) and 10 CFR 50.72(b)(3)(xi). Unit 1 is not being affected by this event and remains at 100% power.